We use high-quality treated wood foundation options that are warrantied for 50 years. 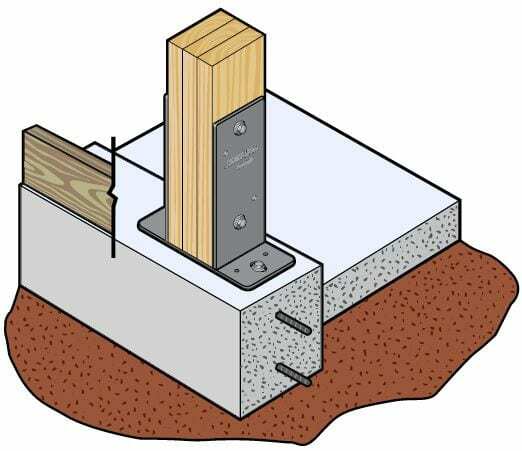 Post-frame foundations made of treated wood have a record of long-lasting success. 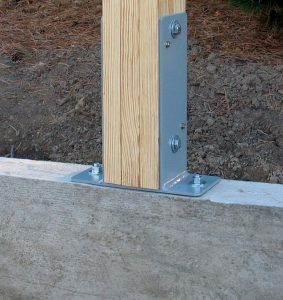 We use specially-treated wood as specified by the American Wood Protection Association (AWPA) for ground contact and soil embedment for our high-quality glue-laminated columns. Glue-lams are much less likely to twist, split, de-laminate, or warp than solid-sawn timbers or nail-laminated columns, and they are more square, straighter and planed flat with sharp corners. Furthermore, instead of backfilling wood columns with dirt, we use washed stone to create superior uplift protection and allow good drainage that extends the life of treated wood below grade. 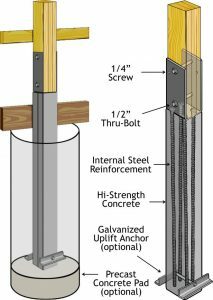 We also offer a variety of concrete foundation options, including pre-cast concrete Perma-Columns that carry a Lifetime Guarantee. Whether you want concrete piers, a traditional spread footing foundation, a stem wall, a shallow frost-protected foundation (insulated, thickened-edge slab), or even a basement foundation – we can build the least expensive of all buildings on concrete. 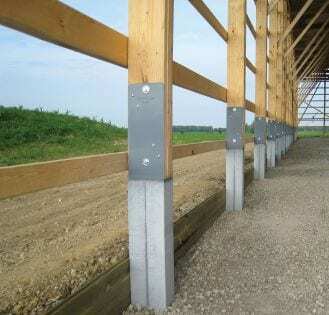 With proper maintenance, post-frame buildings that use our concrete foundation options may last for many generations.